If you have recently purchased or are thinking about purchasing a Kindle for your child or children, these book recommendations have come straight off Veronica’s Kindle. It would be a fun surprise to have a number of books already loaded and ready to go! 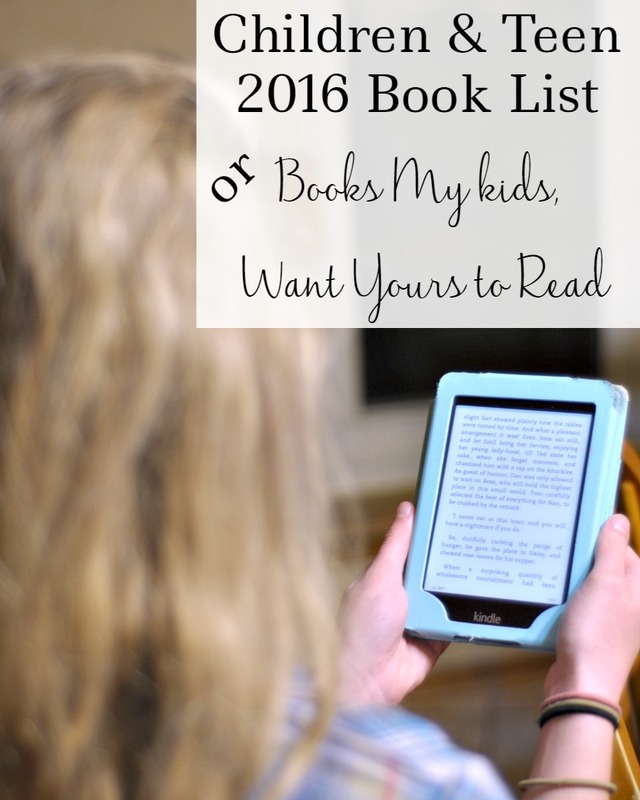 Her book recommendation list is rather long so look for another post next week with even more great books for your children to read in 2016. A note about the above books. We only purchase the older Nancy Drew and Hardy Boy books. Check your local Goodwill, we’ve had great luck finding them there. The Five Little Pepper series has been free in the Kindle library, so if you have a Kindle, check there. She mentioned A Fair Barbarian is one of her favorites, but then corrected herself that most of these are her favorites. I guess for her it would be like picking a favorite child…either you can’t, or it depends on the day! A note about the above books. Black Beauty is listed as free for Kindle. We love, love, love The Green Ember as a family read aloud. Cheaper by the Dozen and Bells on Their Toes are based on a real large family. I read Cheaper by the Dozen years ago when I just needed something fun and easy to read. As with all things parenting, just because I approve of these books doesn’t necessarily mean you will. I will say, I am pretty careful about what my children read and they are very forthright when they come across something questionable. I never had books to speak of growing up. I intentionally made a decision to do differently in my own home. I especially love it as we gather multiple copies of some of our favorites because I know when my children move out, they can take some of their favorites with them.